Heart to Heart International started in 1991 with the vision of Dr. Gary Morsch and other Kansas City Rotary Club members who were on a mission to deliver medication after the Chernobyl disaster in Russia. PowrServ events engage members of civic groups and their families with an interactive assembly line. 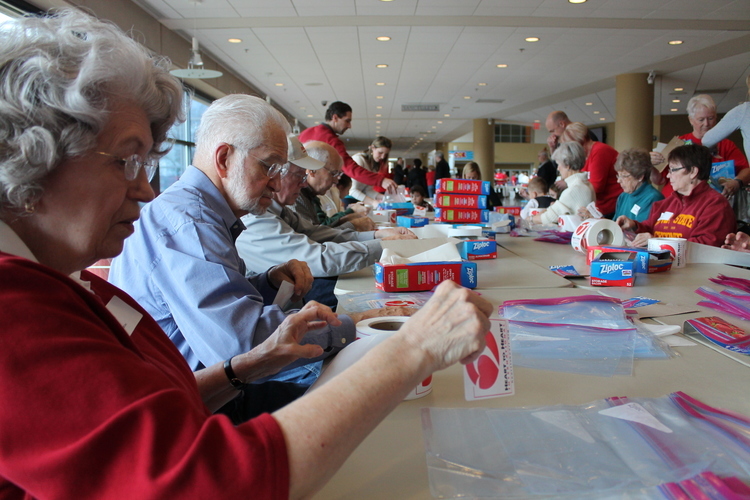 Volunteers of all ages come together to make a difference in the lives of people in need around the globe. Schedule the PowrServ team to present at your organization's meeting.